Relaxed, fluid vest. Mid- thigh length with open sides just closed with a button below underarm. 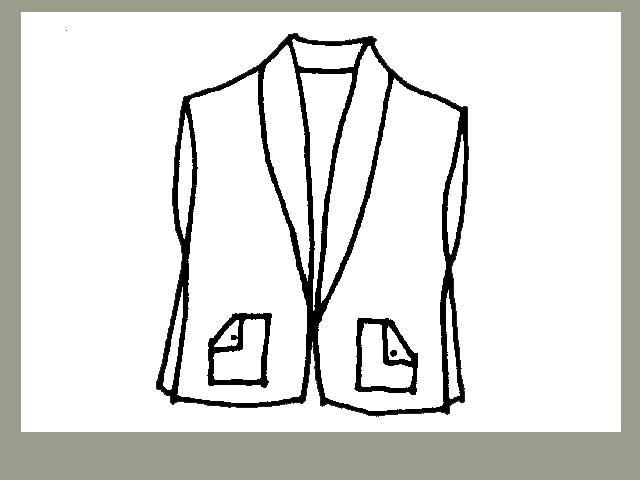 Shawl collar, patch pockets. Available in small, med and large sizes and all fabrics.